Patricia M. (Levesque) Bryant, 70, of Lawrence passed away Tuesday, November 6, 2018 at her home. She was born in Lawrence, MA and was the daughter of the late Joseph and Marion (Sandner) Levesque. Patricia was raised and educated in Lawrence and was a graduate of Lawrence High School, class of 1966. She had a heart of gold and would be willing to help anyone at any given moment. Patricia was always willing to go above and beyond. She is predeceased by her brother, Joseph Levesque; and son-in-law, Billy Tisbert. 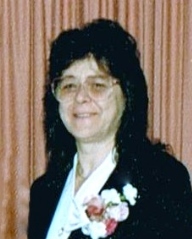 Patricia leaves her husband, Arthur R. Bryant; children, Robert Hill, Paula Barkley and her husband Randy, Joanne Hill, Tammy Tisbert, and Jennifer Gosselin and her husband Jason; siblings, Carole Chenard, David Levesque and his wife Susan, and sister-in-law, Leona Levesque; fourteen grandchildren, Jeffrey, Justin, Ashley, Nicholas, Lucinda, Matthew, Shaun, Jonathan, Tatiana, Richard, Nathan, Benjamin, Alexandra, and Alyshia; and five great-grandchildren, Logan, Reese, Jaziah, Braxton, and Ruby. She also leaves behind many nieces, nephews, cousins, and extended family. The family respectfully requests that in lieu of flowers, those wishing to honor Patricia’s memory may contribute towards her funeral expenses through the family. Relatives and friends are respectfully invited to attend visiting hours on Friday, November 9, 2018 from 4:00 - 8:00 PM at Cataudella Funeral Home, 126 Pleasant Valley Street in Methuen.